When I am working at home with the blinds open, it is not uncommon for me to see four or five golf carts drive past my house every hour or two. I often see the same one or two going back-and-forth several times within an hour. What I find strange about this is that I do not live on or near a golf course. 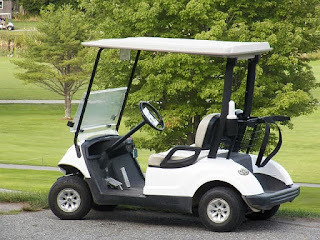 I have learned from some of the locals that living in a rural neighborhood in Mississippi means that I am going to see lots of golf carts and that most of those who own them do not golf. Most of my neighbors own at least one golf cart or ATV. They use them in much the same way my family used to use bicycles when I was growing up. The children use the family golf cart to visit their friends down the street. Yes, it is not at all uncommon to see children well under the age of 16 driving golf carts down the middle of the street unsupervised. Their parents use the golf in much the same way. Instead of walking or using a bike, they drive their golf carts to get around the neighborhood. On many occasions, I have seen people use golf carts to travel just 3-4 houses down the street. It would have taken them no more than 3 minutes to walk this distance. For the most part, this is just one more on a long list of things I will probably never understand about life in Mississippi. Aside from the impact of the lack of physical exercise on health care costs, it does not really impact me. I suppose the one exception would be the common practice of parents allowing their children to drive these things around on their own. I have had a few near misses where a child who could not have been older than 10 swerved in front of my car, ran a stop sign, or turned from one street to another without slowing down or bothering to look for traffic. Most of these golf carts are not capable of traveling at high speeds, but I have also seen several children (and some adults) driving them at well over the posted speed limit. It isn't just that I have almost hit them, but I have seen a few of them nearly hit others. While I consider them a nuisance most of the time, I recognize that they can sometimes post more of a threat to safety. I know that almost all of my neighbors vote Republican. I can tell because most of them will place yard signs for the most conservative Republican candidates in their yards prior to every election. I know that almost all of my neighbors are evangelical fundamentalist Christians. I know this because so many have been eager to tell me so. Perhaps I could be forgiven for thinking that they might seek to instill discipline and "personal responsibility" in their children. But when it comes to letting their younger children drive their golf carts or ATVs around the neighborhood, this does not appear to be the case. Based on the few near misses I have had and a few others I have witnessed involving other drivers, I am confident that there will eventually be an accident where someone driving a car or larger motor vehicle will hit a kid on a golf cart or ATV. The results will not be pleasant. 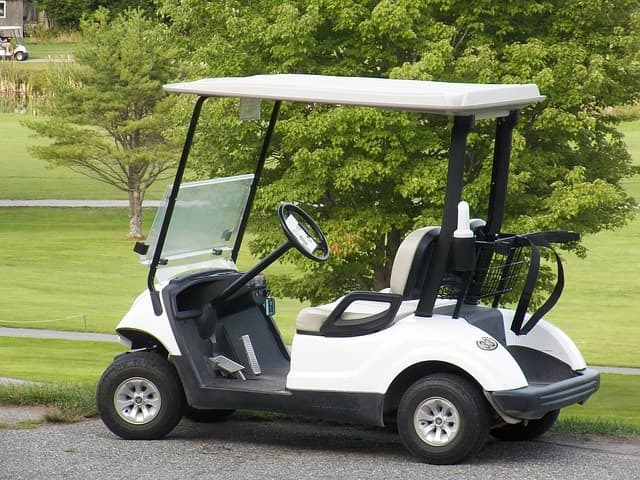 Even if the driver is obeying the speed limit when it happens, the difference in the size, structure, and weight of the vehicles spells trouble for whoever is in the golf cart or ATV. I hate to think about that happening, and this liberal atheist is extra careful when driving through his neighborhood to compensate for the glaring lack of discipline and personal responsibility displayed by many who should know better.